This item is on sale for $1 as part of a special sale on 2/12/19. Click HERE to see all the deals. My Family Learning Unit is a PreK ilovedollardeals and Kindergarten EARLY beginners step into Project Based Learning (PBL). This "research" unit includes math and literacy activities/centers. A list of family books is NOT included, but can easily be found in a school library or just through conversation during the lesson. 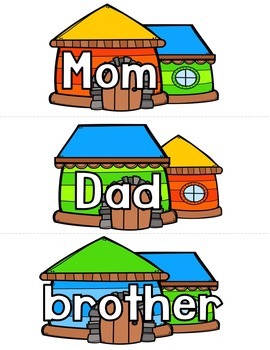 *Talk about and trace "family" words. Draw a picture of family members. *Discuss what families ARE, CAN do, and where they LIVE. I've included headers for anchor charts of ARE, CAN, LIVE. 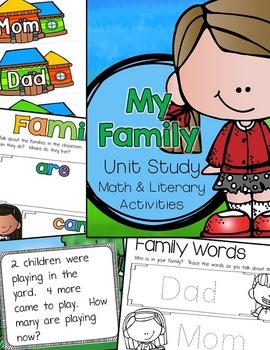 *Students can trace family words as they walk around the room searching for different words during a Write the Room activity. *A Family Word Wall with definitions of each member of the family. *Write around the Room again as students search for colorful shapes cards and trace them on their paper. 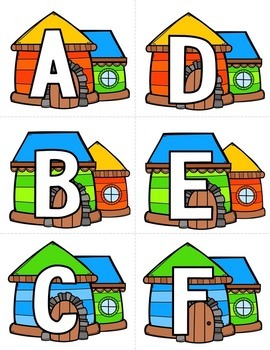 *Read the Room as students search for colorful uppercase letters, lowercase letters and numbers to trace on their papers. *Match uppercase and lowercase letters together. *Match numerals to ten frame cards. *Put the alphabet in order. *Put the numbers in order. There are so many activities you can do with this learning unit! Enjoy and keep a look out for future Beginners PBL units.